He’d seen them for as long as he could remember. They’d never scared him, really. When he was younger, he hadn’t known that there was anything different about them. By the time he was old enough to figure out that no one else could see them, he was also old enough to realize that being dead didn’t turn people into monsters. It just meant that most of them were lonely. He was tall, almost as tall as Michael, who towered above most people at 6’2, and muscular, something that Michael couldn’t boast. His dark hair was buzzed short, like an army crew cut, and he wore dark navy jeans, a gray T-shirt, and an old black jacket. As intimidating has his physical appearance seemed, however, nothing compared to the fury and repulsion with which he stared at Gavin Avery. “Yeah, fine.” He wasn’t fine though. His voice had gone hoarse, the same way it always did whenever he tried to choke out a lie. He cleared his throat and assisted Kate and Gavin setting the mattress against the wall. No matter how he tried to convince himself otherwise, he could feel the stranger’s eyes boring into the back of his neck. Although he didn’t think the ghost had noticed him staring, he didn’t want to draw any sort of attention to himself. This was the reason he never complained about the strange noises or feelings of discontent that plagued the other residents of Building 17. He’d always been a terrible liar, and anyone observing him too carefully would realize that when he said he had no explanation for the weird things that happened, he wasn’t telling the truth. Once ghosts figured out he could see them, they followed him home. Over the years, he’d gotten better at ignoring them, tuning them out, but there was always the occasional slip-up. He’d respond to an otherwise unheard voice, or accidentally make eye contact with someone who’d grown accustomed to being invisible. That was when the trouble started. Michael had learned the hard way that nothing good came from interfering in the affairs of the afterlife. He’d always been careful not to let anyone know what he could see, but everyone, from his classmates to his own mother knew there was something wrong with him. Their suspicions were somewhat confirmed after he was arrested as a suspect in a murder investigation at the beginning of his senior year of high school. The charges were quickly dropped, but still, the damage had been done. Now, whenever spirits followed him home, he ignored them. This was frustrating for all parties involved, but especially for the ghosts. They knew he could see them, but when he didn’t acknowledge them again, they grew agitated. Some of them went crazy, throwing pots and pans around or heaving books off of shelves, in desperate attempts to get his attention. They usually gave up and moved out after a week or so of being ignored. But some of them, the more annoying ones, tended to linger. Some acted out of spite, some out of boredom. Some flat out refused to move on for reasons that Michael could never figure out. Maybe they were waiting for someone, or maybe they were scared of crossing over. Michael could accept that. Still, he would have preferred they not make his apartment building their halfway house. Thinking back to everything Kate had told him about Gavin, his mysterious ailment, even the break-in, Michael knew he should have realized that those were the products of a haunting. He’d experienced the same symptoms of dizziness and exhaustion on multiple occasions. Spirits thrived on energy. It was how they moved heavy objects, or manifested themselves to those who otherwise wouldn’t be able to see them. They took this energy from any source they could find; electricity, radio waves, even the living. Especially the living. Michael had always been particularly susceptible to their attacks. He had a theory that since his mind was already so open to the spirits, it made it easier for them to drain his energy. He wasn’t sure if that was what was happening or if all the physical exertion was finally catching up with him, but all of a sudden, he felt dizzy and lightheaded. He broke into a cold sweat and without warning, the ground begin to tilt. Jacqueline Smith week continues tomorrow with an excerpt from Between Worlds, the sequel of Cemetery Tours. 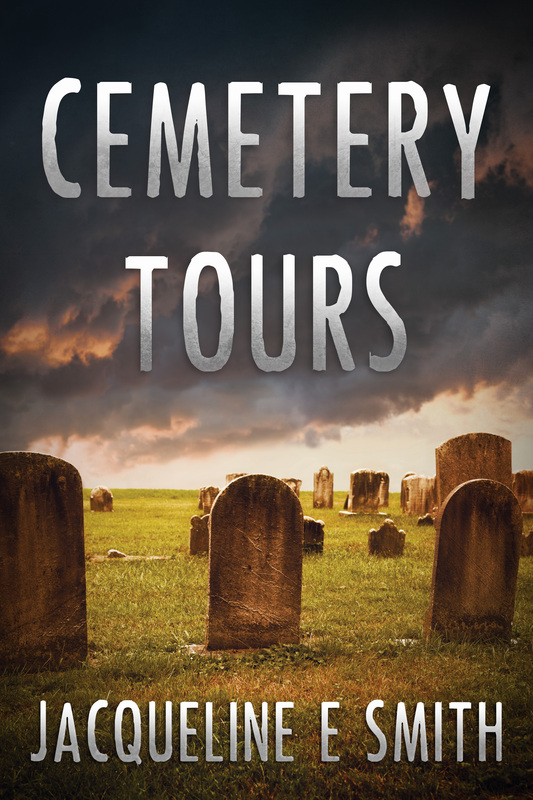 An excerpt from Cemetery Tours as well as Giveaway information! Check it out!